This week’s video is from none other than Bioware’s own, Stephen Reid. He tweeted this when the servers were down during the Beta Test was going on last weekend. This video is hilarious. Let us know what you think in the comments below. Also if you have made a funny SWTOR video while in Beta or another type of music video dealing with SWTOR please email me a link and I will try to get included in the upcoming HoloNet Link articles. You are never going to be forced to join a specific server. The guild placement is a convenience and a suggestion, but at no point are you going to be forced into joining that server. Not to worry! Anyone who has more questions about the Pre-Launch Guild Program should take a look at the Guilds FAQ, as it contains many of the answers to your questions and concerns. My name is Joveth Gonzalez and I’m your new Associate Online Community Manager (essentially, Chewbacca to Stephen Reid’s Han Solo). I’ve always been a fan of Star Wars, and it goes way back to my early childhood and my prized Millennium Falcon toy. It continued when I begged my parents to get me the 1995 VHS re-release of the original trilogy after playing through the SNES Super Star Wars series. I’ve seen all the movies and have played through most of the Star Wars games over the years, including of course, Knights of the Old Republic. I also happen to regard Mass Effect 2 as one of my favorite games of all time (I love games with incredible narratives) so working at BioWare is a great honor for me. I’ve been in the video game industry for over 5 years now, with various marketing and community jobs under my belt. I’ve done everything from console titles to social games, so you can say that I’m pretty well-rounded in terms of experience. Community has always been something that I’ve been passionate about, even before I knew that there was such a thing as a community manager. I enjoy acting as the liaison between fans and developers and it makes me incredibly happy to see the community affect change in a game. It took me a really long time to appreciate the fact that I am working in the industry that I am most passionate about and I truly am lucky to have such an amazing job. I look forward to getting to know you all! Feel free to shoot me a PM if you have any questions or concerns about anything. The Jedi Path: A Manual for Students of the Force (Vault Edition). This gift idea submitted on the CRR Facebook group site by Joon Hur. I have this very item and it is simply amazing! Not only is the book full of amazing lore details, pictures, beautifully bound, and many, many Force factoids, but it rises up out of the “vault” at the press of a button. 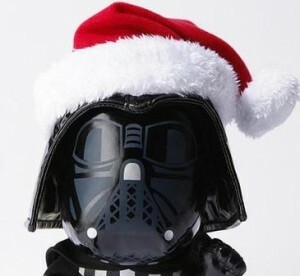 If you need a gift for the Star Wars fan that has almost everything, you can’t go wrong with this. Yes, the Jedi have their Jedi Path Vault, but now it is the Dark Sides turn. The Book of Sith: Secrets from the Dark Side is now out. It is also a nicely bound book full of detailed lore that goes back to the first encounters with the Sith Purebloods, through the writings of Darth Sidious and how he manipulated his rise to power. Another interesting section looks to be a journal by Darth Malgus during the Great Galactic War. 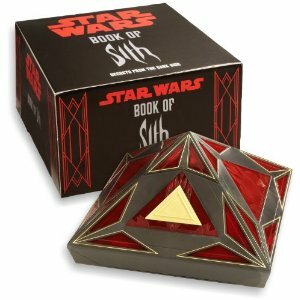 The book, like the Jedi Path is secretly hidden inside, but this time it is not a vault but a Sith Holocron. At the touch of a button the Holocron opens up and the book emerges with its dark secrets ready for you to read. The younger Jedi and Sith can also have their own books, if those previous two might be a bit pricey. 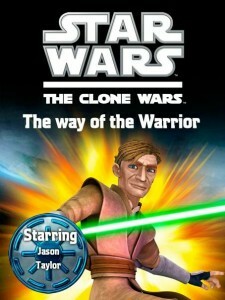 At Prezzybox.com, I found the book, The Way of The Warrior, based during the Clone Wars. One for Jedi and one for the Sith and both can be personalized with the name of that young Jedi Knight or Sith Apprentice on your shopping list. The website also allows some customization of the starring character on the cover of the book. I played around with the customization some last night and was pretty impressed for that on a book. I would suggest ordering this soon, to get here by Christmas with all the custom touches and general shipping this time of the year. Perhaps you need to find the gift for the artist or writer, who would much rather create their own stories or ideas rather than read someone else’s. 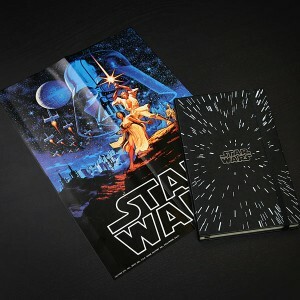 ThinkGeek.com has Star Wars Limited Edition moleskin notebooks for that budding writer or artist. You can get them with lined or blank paper and each has a mini version of the original Star Wars movie poster. 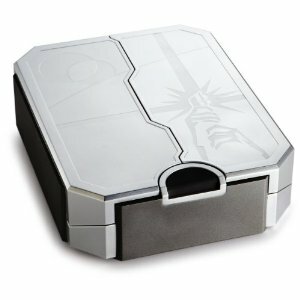 It makes a really nice gift for a Star Wars fan without breaking the bank. If you were busy playing SWTOR Beta or maybe travelling to and from family for Thanksgiving and missed any new or your normal Corellian Run Radio article, we have you covered. The links to all of the past week’s articles are listed below. R2-DB.com is a great site to explore for all kinds of great and helpful information on practically everything in the game even before launch. One of their newest features is their skill tree calculator. It allows you to get a rough idea how you might want to spec out your advance class. Now this is about one build behind current beta, but they are continually updating and adjusting the calculator as the beta changes. If you want to get a general idea what your skill tree could be in your advance class, head on over to R2-DB.com and try their skill tree calculator. 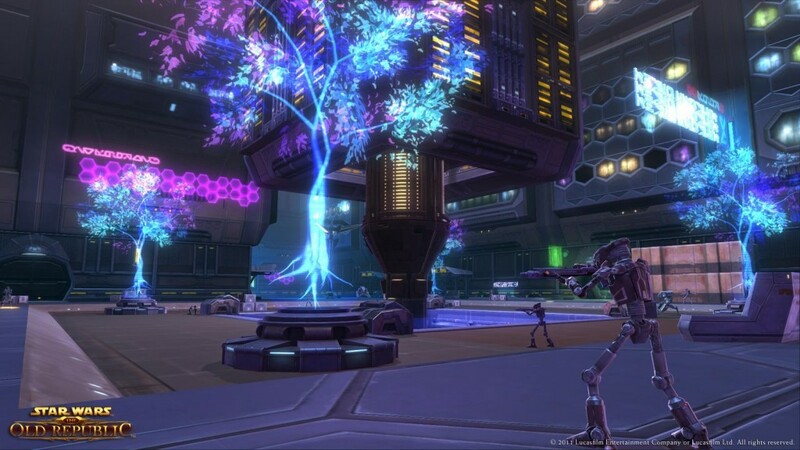 This week we get to see the upper part of Nar Shaddaa. The bright lights and structures has a sort of Vegas/Times Square feel, but don’t venture to far off the main paths…who knows what shadowy figures are waiting to attack. I am sure many of you know Dimbo, writer of Dimbo the Trooper, the Mayor of SWTOR and family man. He has been not well and is in fact in the hospital. Just ask you keep him in your thoughts and prayers. That’s all this week from the HoloNet Links. If you have an interesting, funny, or thought provoking Star Wars Old Republic link, please let me know via email at jason@corellianrun.com, in the comments below, or in the Facebook group. How was your Beta experience? We would love to hear about it in our comment section. Tell us what class and your opinions on gameplay, storyline and did you have fun. See you all next week! That dance video is hilarious. The dances look so much better in time to music. But the song gets stuck in my head, ahhhhhh. Any idea if game time cards are for sale yet? I haven’t found any at places I like to shot yet, but haven’t looked really in depth. Had a great time in beta, got to test out several group mechanics and they were fun, got to try out ship combat, also fun, played JK up to getting lightsaber, Trooper through to Taris and getting her ship. The instanced storyline quest areas are a brilliant idea. No more killing the big bad guy, only to watch it stand back up and the next person kill it. Much more immersive and meaningful. Game had a few glitches, but nothing unplayable.